Will the EU Withdrawal Bill affect your rights? The Government has suggested that the Bill is just a technical ‘copy and paste’ of EU law into UK law – and that all current rights would be preserved at this stage. Not so. René Cassin has joined 30 other organisations to express our serious concern that, if it is not amended, the Bill will diminish our rights and allow Ministers to make further sweeping changes without Parliament’s approval. As I write, it appears the Government has listened – and promised changes that will retain all our rights. But we must ensure the Government honours that promise. This episode reminds us of two important things – 1) constant vigilance is essential; and 2) we can all make a difference in shaping a post-Brexit UK. On the issue of Brexit and human rights, Keir Starmer is one of the leading experts – as a former human rights lawyer now turned Shadow Brexit Secretary. At a René Cassin meeting last month he was (in his words) ‘put through his paces’ by a packed and lively audience. He made a passionate plea for internationalism and reminded us that modern human rights came about in response to the horrors of the Second World War. You can view a full recording of the event, and read press reports via our website. Building support in our campaign against modern slavery – last year, the UK’s Anti-Slavery Commissioner, Kevin Hyland, said ‘René Cassin is in a unique position to bring change where change is needed most’. 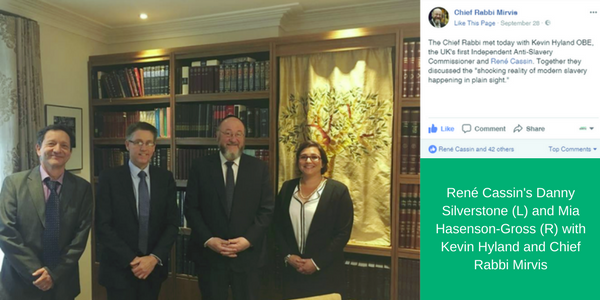 And at the end of September, we organised a meeting between Kevin and the Chief Rabbi to discuss the ‘shocking reality of modern slavery happening in plain sight’ and agree to work together on the issue in 2018. 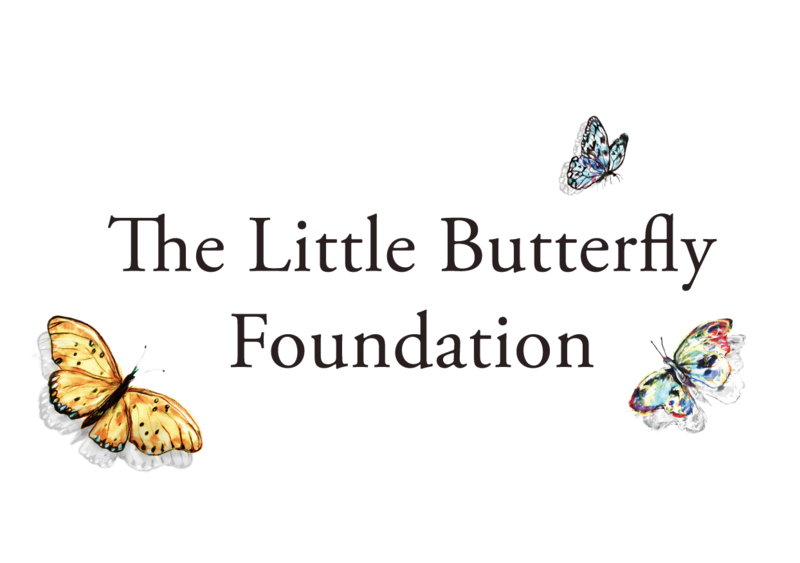 ‘I cried from joy’ – René Cassin helps bring practical support for survivors of human trafficking – this Autumn, along with the youth movement RSY-Netzer, we supported Sheffield’s Snowdrop Project – which helps survivors’ recovery by refurbishing the flats they are placed in. Success! Home Office agrees to expand support for victims – René Cassin has long argued that Government policy put too much emphasis on prosecuting offenders, and too little on helping victims of slavery. So, we are delighted that the HO has announced considerable improvements in the support services it provides. Solidarity on hate crime in Leeds – In March we brought together the Board of Deputies and Gypsy, Roma and Traveller organisations in a landmark meeting to agree mutual support on the issues of hate crime and discrimination. To put that agreement into practice, we organised a series of events in Leeds in October and have a further visit to Brighton planned for 2018. Human rights thought for the week – earlier this month we launched our Parashot Project. This connects each weekly portion of the Torah to a distinct human rights theme presented by leading Jewish thinkers, Rabbis and educators from across the UK. Because we were slaves – sign up for our Human Rights Shabbat on 8 and 9 December – including a comprehensive resource pack and ideas for activities, sermons and study sessions.